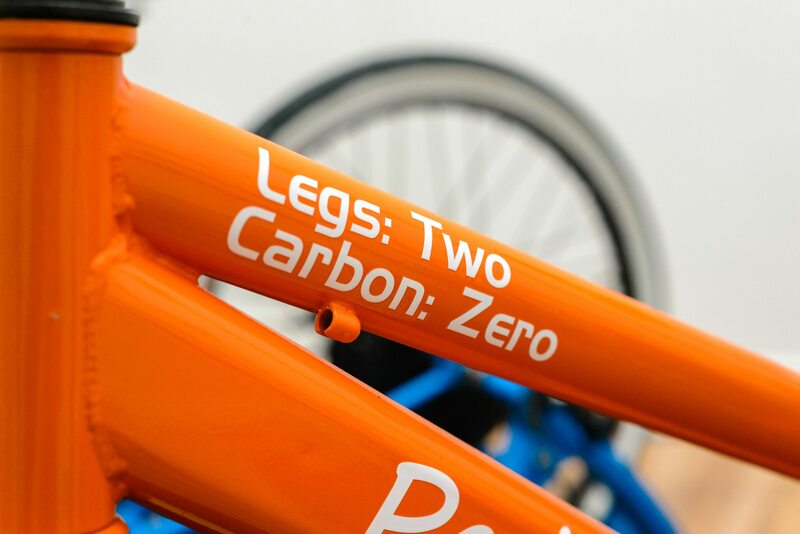 Our pedal powered cinema is the perfect fundraiser for schools. Why waste valuable time trying to conjure up a fundraising idea that may or may not work; our fundraising model is tried and tested. We take the hard work out of your fundraising campaign. For most committees, finding an original and novel idea can be difficult and off putting even before any discussion of logistics and speculation on running costs can begin. We deliver a unique fundraising event with a huge curiosity factor. In addition, we supply all the equipment, set it all up for you and run all the technical elements of the event from start to finish. This leaves your committee more time and energy to really engage with your community to get the best possible outcome from your fundraising campaign. Already have a fundraiser planned? Maybe you already have a school fundraiser planned for this year such as a summer fete, sale of work or family fun day. 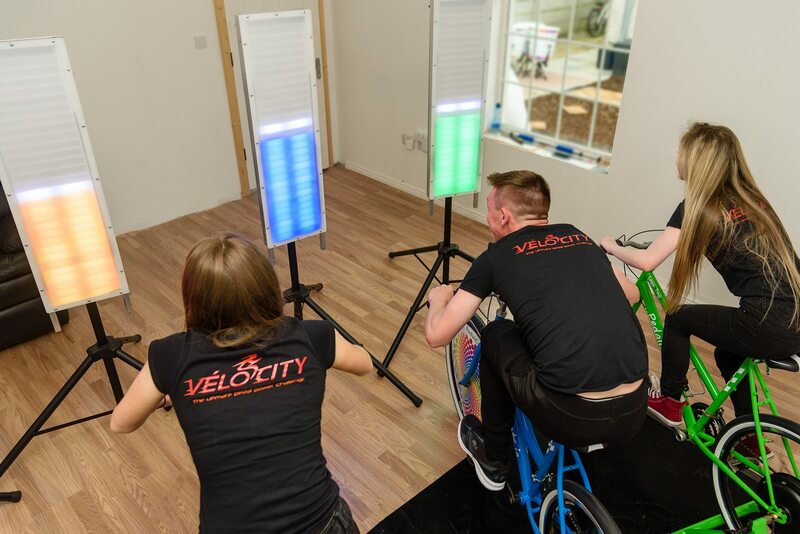 Both our Spin Art and VÉLOCITY Challenge are perfect add on activities for these types of events. Why not boost your event appeal by getting us on board. Are you looking for a fundraising activity for your club that will really catch the public imagination? As our fundraiser is fully people powered, it really is the perfect active event for your active club. You can promote your fundraiser along the lines of getting active, keeping fit and staying healthy while supporting the club. Your cyclists get a work out as your club raises money, it really is win win! Our fundraising model is tried and tested which takes the guesswork out of the equation for your club. For many clubs their fundraising ideas fail to reach the launch stage owing to the unknown quantities of logistics, cost, revenue generating potential etc. We tailor our fundraising model to suit your club. 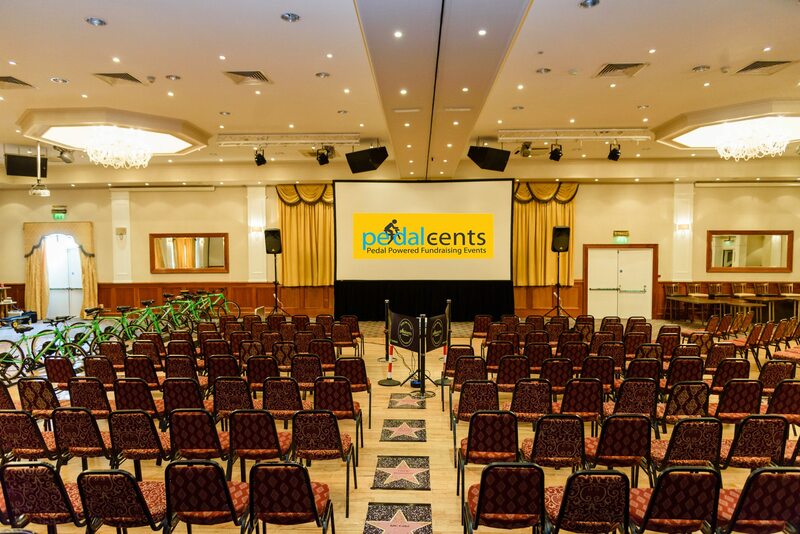 In addition, we supply all the equipment, set it all up for you and run all the technical elements of the event from start to finish. This leaves your club more time and energy to really engage with your community to get the best possible outcome from your fundraising campaign. Maybe you already have a club fundraiser planned for this year such as a 5K/10K race, family fun day or sponsored walk. 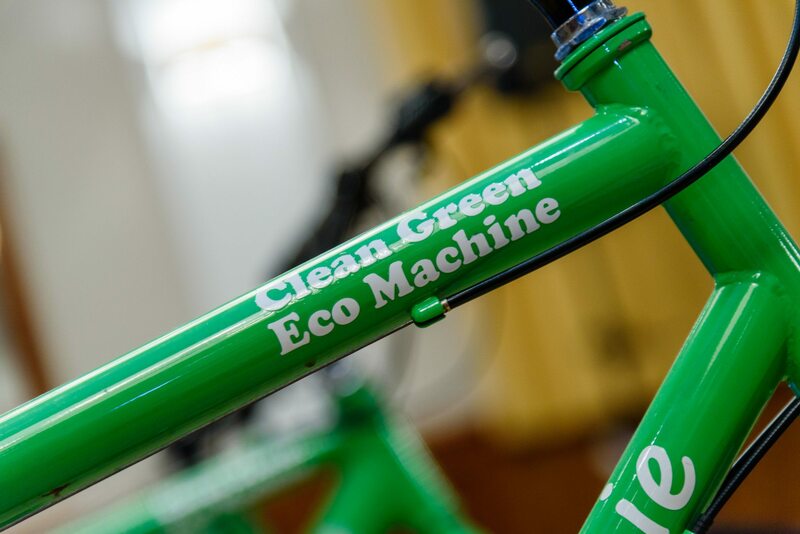 Both our Spin Art and VÉLOCITY Challenge are perfect add on activities for these types of events. Why not boost your event appeal by getting us on board. Are you a registered charity looking for new opportunities to promote your worthy cause in a crowded marketspace? Are you trying to reach a new audience? Our imaginative activities are perfectly suited to helping you achieve this. 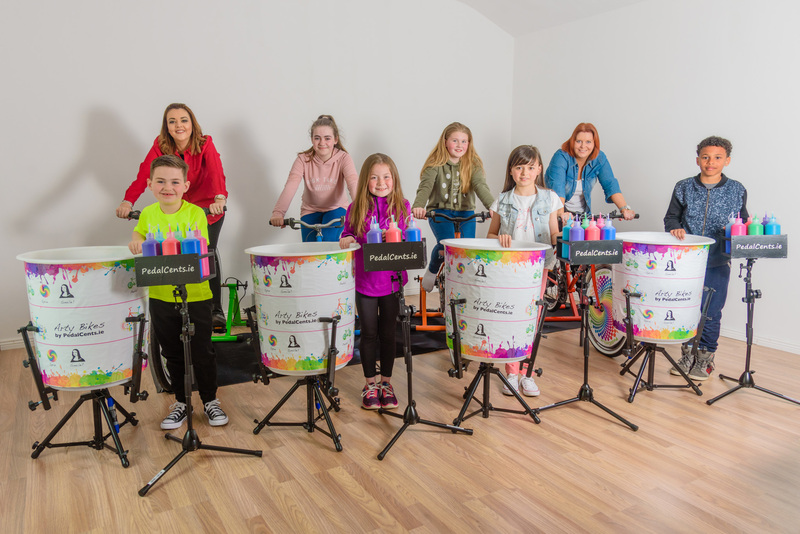 Maybe you need something like our Spin Art or VÉLOCITY Challenge as a lively diversion for the kids while you deliver your charity’s message to the grown-ups? Perhaps you wish to reach a particular demographic such as teenagers who will before too long become the next generation of potential charity givers. 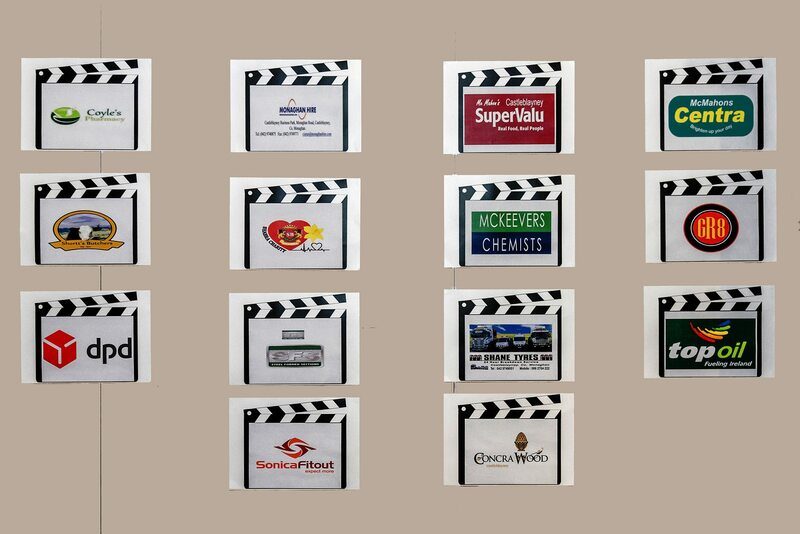 You may wish to consider using our services for a one off event or for an extended campaign. We would love to hear from you to explore how our services can work for your charity. Is your organisation committed to social responsibility and looking to raise money for a chosen charity partner? Maybe you are looking for fun team building events, novel opportunities to entertain clients or energetic activities for your company’s family fun day? Perhaps you need a unique activity for a new product launch? If so then we can help. 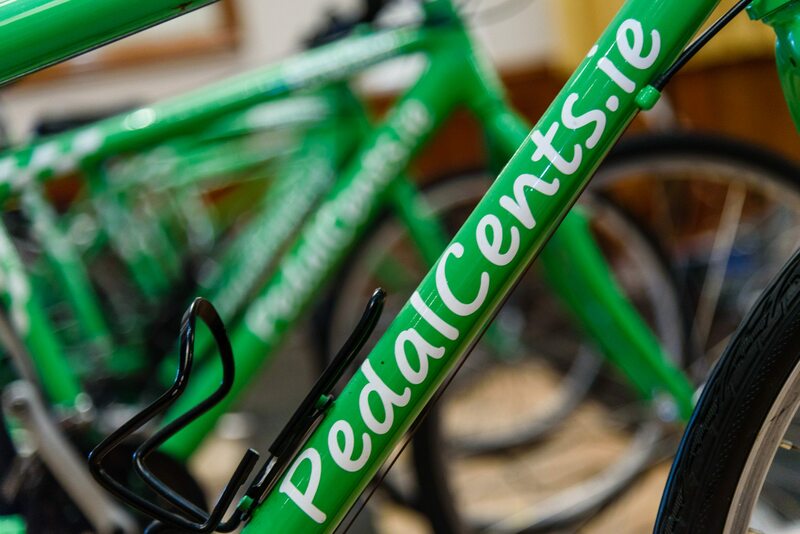 Our Pedal Powered Cinema, Spin Art and VÉLOCITY Challenge are novel, engaging and highly entertaining but most of all are loads of fun. Talk to us today to explore how our services can work for your organisation.